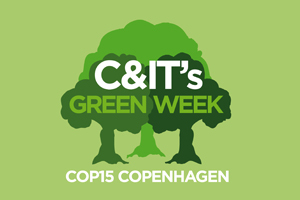 Watch C&IT's interviews with Jan-Christoph Napierski, head of COP 15 Unit at the Denmark Ministry of Foreign Affairs, and Guy Bigwood, group sustainability director at MCI, filmed live in Copenhagen, on the challenges in making such a large event sustainable. The COP 15 conference kicked off on Monday at Copenhagen's Bella Center, and attracted over 11,000 delegates on the first day alone. The objective of the event, which features representatives from 192 nations around the world, is to reach a political agreement on reducing carbon emissions.